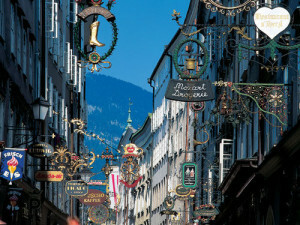 The charm of the Getreidegasse, probably Salzburg’s most famous Shopping lane, is not only generated by the high, narrow houses tightly nestled together, the enticing shops and the wrought iron guild signs, but also to the romantic passageways and courtyards. 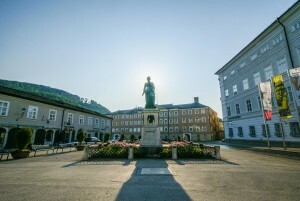 The square is dominated by the statue of Mozart by Ludwig Schwanthaler, ceremoniously unveiled on September 5, 1842 in the presence of Mozart’s sons. Mozart’s widow, Constanze von Nissen, did not live to see the unveiling. She died on March 6th of the same year in the house at Mozartplatz 8. 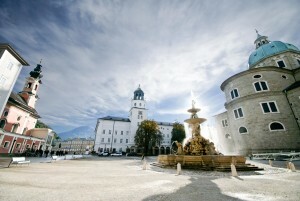 Residence Square is an especially magnificent forecourt between the archiepiscopal residences in the heart of Salzburg’s Old City. It is bordered by the New Residence with its carillon, the Cathedral, the Old Residence and a continuous row of townhouses, now housing shops, a bakery and a café. Building work on Hohensalzburg Fortress was initiated by Archbishop Gebhard in 1077. It is the largest completely preserved castle in central Europe. The fortress is over 900 years old and was originally built to guarantee the safety of the archbishops; while also serving as barracks and a prison. 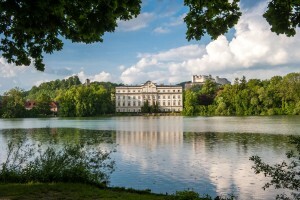 Enjoy a visit to Hellbrunn in the south of Salzburg City. Its fantastic palace grounds offer marvelous diversity, both summer and winter. The broad park represents an intriguing blend of sculpted grounds and natural biotopes. Likewise, the trick fountains are an experience unlike anywhere else. You are certain to be delightfully surprised! 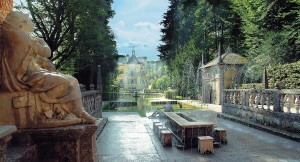 Schloss Leopoldskron ist pure Inspiration! 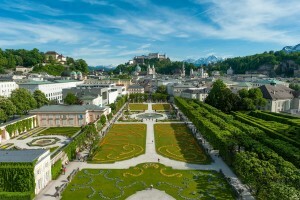 Nur wenige Gehminuten von Salzburg’s Altstadt entfernt, liegt es eingebettet in eine traumhafte Naturkulisse mit Blick auf das majestätische Bergpanorama am Leopoldskroner Weiher.